Ep. 91: CantinaMX Futbol Podcast – Mexico v Germany preview! LOS ANGELES, CA. –If friendlies were measured by the result on the scoreboard, Mexico’s summer of soccer did not get off to the most favorable of starts. Luckily for Juan Carlos Osorio and the rest of the Mexico squad, though, Mexico’s 2-1 loss to Croatia will serve as a much better barometer for what Mexico is than what Mexico aspires to be. Aspiration: to be a team that can go 20 players deep. Reality: Mexico is a team that only goes 14-15 deep. 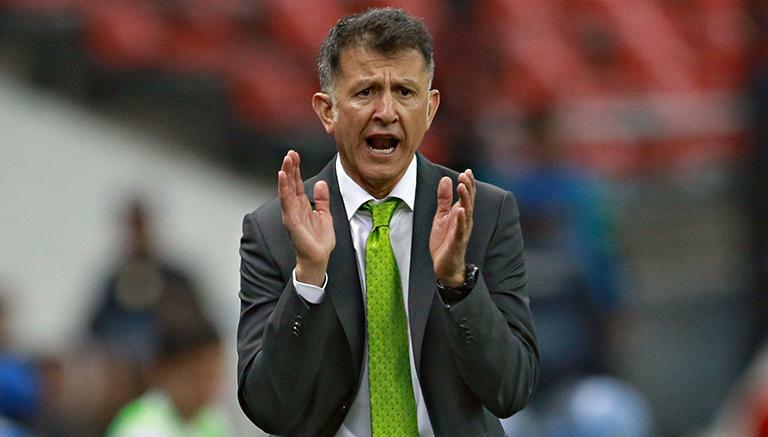 The sooner Juan Carlos Osorio realizes that, the better Mexico’s summer of soccer will go. The latest Gentlemen’s Agreement has arrived. 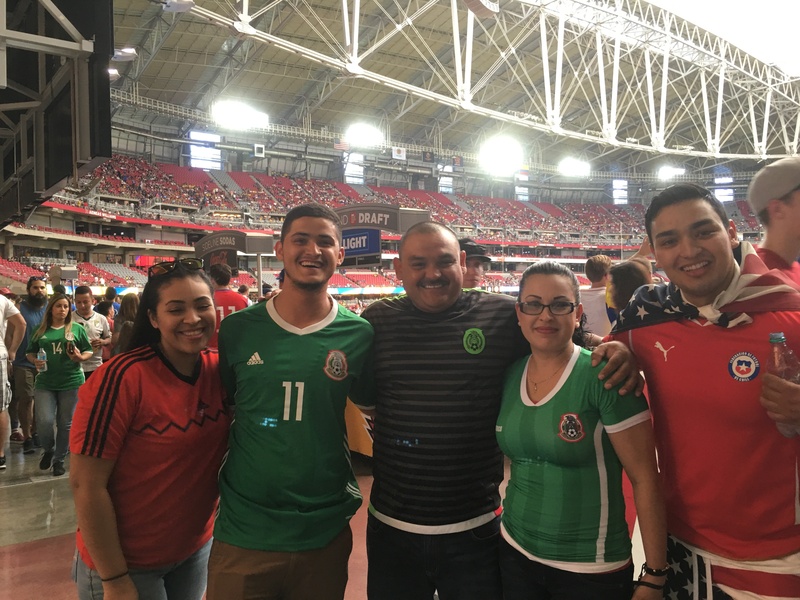 In this edition, CantinaMX Podcast host John Jagou, and FutMexNation Columnist Joel Aceves discuss the early success from unexpected sources. And the Gentlemen explain the Azteca myth and why it might be time to play elsewhere. As always, the Gentlemen recommend a fine sipping Tequila as an adequate enhancement to this column. John Jagou: Joel, The LigaMX Clasura17 season is month old, and who would have guessed to see Pumas and Santos near the top of the table, joining last season’s table toppers, Xolos? Joel Aceves: Yon, I am glad to see that the top three teams are being coached by Mexican’s and they are doing it without having had to break the piggy bank to build their squads. Of the three we can say Xolo’s is the least surprising. They finished last season in first place. 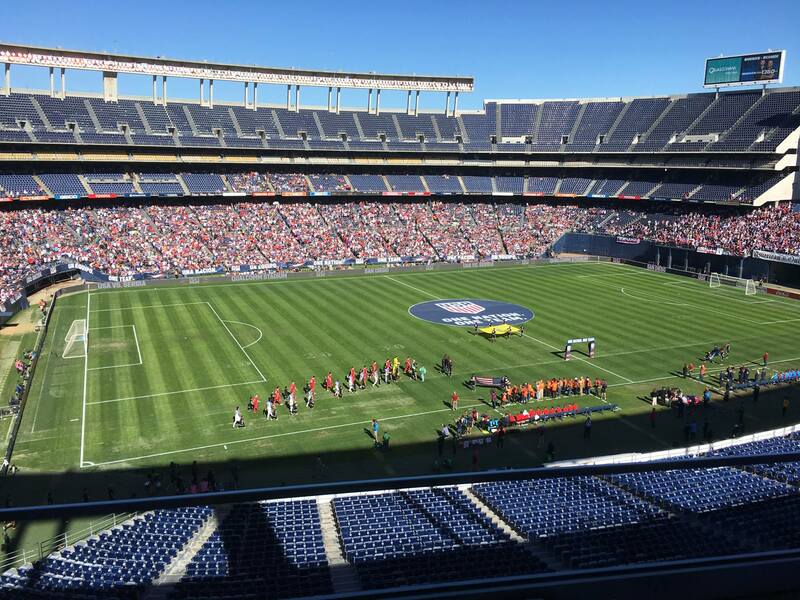 At the other end we have the Apertura 2016 finalists Tigres and America having a difficult time as we had predicted. Mexico wins in Columbus! A huge deal, big deal or business as usual? 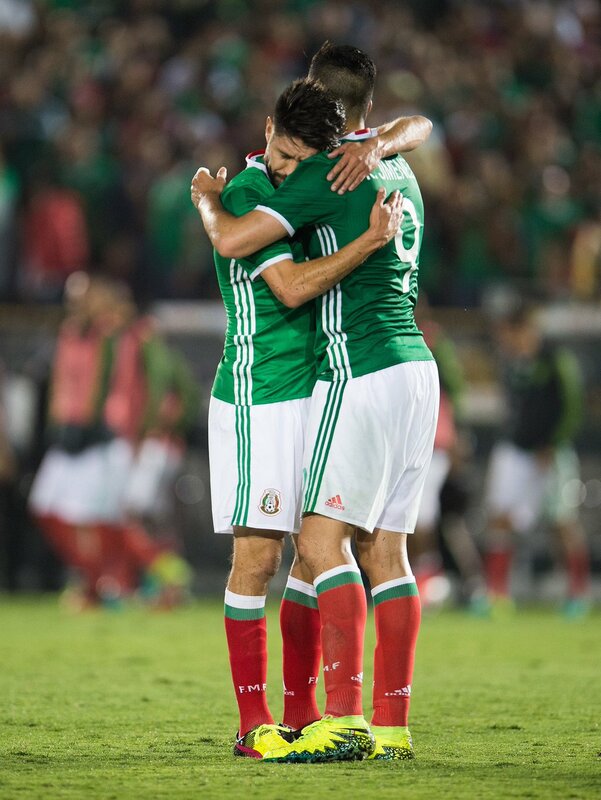 Columbus, OH: The Mexican National team has broken the 2-0 curse of World Cup Qualifier losses to the US in Columbus Ohio. Note that Mexico has beat the US as recent as last year, on US soil. There are reports of 44 years since Mexico has beat the US in the US. That is not correct of course. To be specific it is Columbus. To be even more specific the record over the last 44 years vs the USMNT in WCQs, in the US, is 1-5-1. So it is not as if they played 44 games and US won every single one of them in World Cup Qualifiers. Let’s focus on the point of this post! After the game many Mexico fans were very happy. Including myself. After many dos a cero chants, this was a very welcome change of the scoreline. However, I did note that after the game as the Mexican team congratulated themselves on the pitch, they started jumping as they celebrated. The jumping you see after winning a tournament or after a big game to qualify for something big. There was no reason to jump and celebrate for this particular win. Sure it was a big win, but not a huge win. It has actually been a failure to have 4, 2-0 losses in a row. This righted the ship, it didn’t transcend some huge feat in the world of Soccer. It is cringeworthy to see Mexican players celebrate in such a manner. Another reason to not celebrate too much but keep a level head is, the fact that many say Jurgen Klinsmann made a huge mistake with his starting formation of a 3-4-3 in the first half. 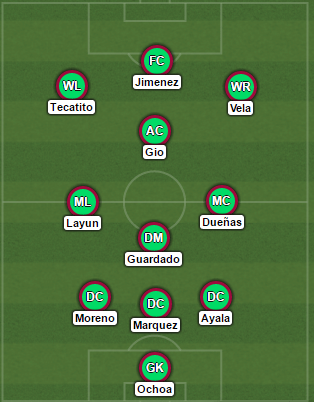 A lineup that proved to be greatly advantageous to Mexico in the first half, as they possessed and were dangerous through most of it. The score could have easily been 3-0 at halftime, but finishing was lacking and only 1 goal was scored. A deflected shot by Layun. So even with a Jurgen gaffe Osorio could only get 1 goal. Then in the 2nd half, Jurgen changed back to the 4-4-2 and advantage went back to the US. 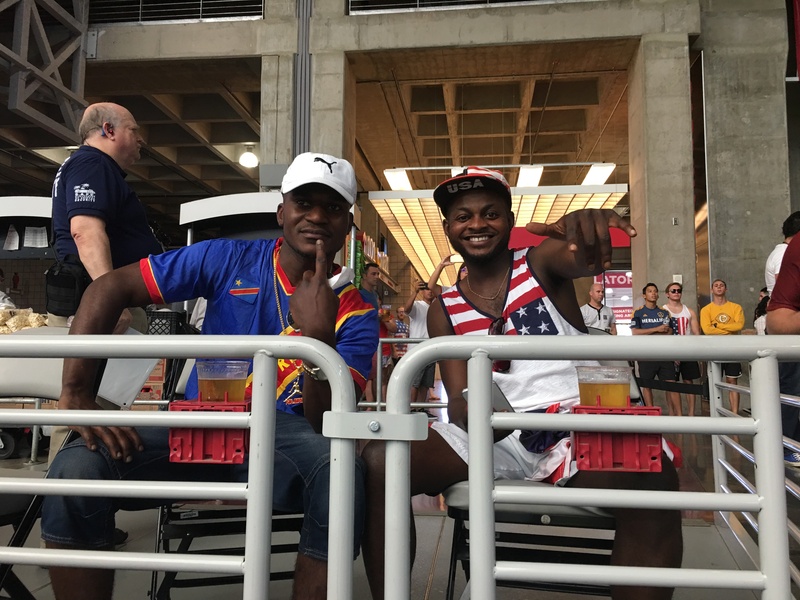 The US possessed, attacked and scored 1 goal during the 2nd half to tie the game. This occurred for much of the 2nd half and Osorio could not come up with a tactic change or some plan to recover control of the game. Chucky coming in brought some good speed on the counter, which almost led to a goal by Chicharito. The US was dangerous and Osorio didn’t have the answer. The Rafa goal came off a set piece and Mexico won. The tradition is usually the USMNT scoring on set pieces because of lack of “in the run of play” type goals and technical skill. Another consideration, the weather was not super freezing as in other instances of this game. The Mexican team came in fully loaded with every european player. Osorio did have to deal with an injured Guardado and decided to start a Hector Herrera who hasn’t played well at Porto and did horrible in the 2nd half. While this is a good win for Mexico, we all need to be level headed. A huge challenge is on the way in Panama, which could be an even harder game. Critical press statements shouldn’t be taken so sensitively by Mexican players such as Chicharito, but their true skill demonstrated on Tuesday night in Panama. This Columbus win is a big deal! Not a huge deal or business as usual, but an important win to show respect for the US and what they have done since Bruce Arenas decided to play there. 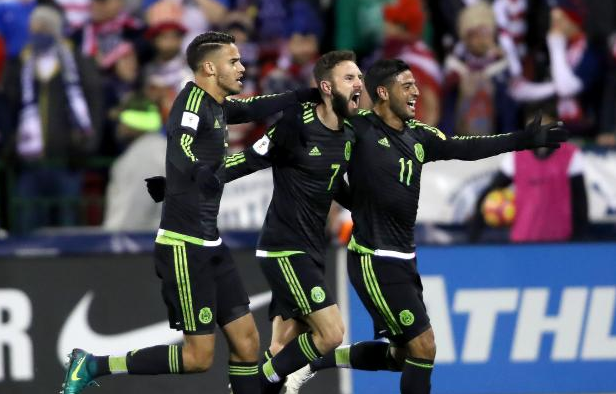 Mexico manager Juan Carlos Osorio has declared he is looking to offset the US’s notable size advantage. For Javier Hernandez, this means a return to his super-sub role which won him many fans over during his Manchester United stint. SL Benfica’s Raul Jimenez will get the nod instead. Osorio and Mexico Captain Rafa Marquez have stated Mexico will break the trend in Columbus. Mexico is expected to take the game to the US and put pressure on the American backline. Osorio will trust the dynamic and creative players Jesus ‘Tecatito’ Corona, Carlos Vela and Giovani dos Santos. Linking up-top with them is Jimenez whose physical presence will be a direct threat to the US backline. Osorio’s Mexico will go Guns Ablazing.